Steve Jones's highly acclaimed, double prize-winning, bestselling first book is now fully revised to cover all the new genetic breakthroughs from GM food to Dolly the sheep. 'An essential sightseer's guide to our own genetic terrain.' Peter Tallack, Sunday Telegraph 'Superb and stimulating...an exhilarating trip around the double spiral of DNA, a rush of gravity-defying concepts and wild swerves of the scientific imagination.' J.G. Ballard, Daily Telegraph 'Not so much divination as demystification... An attempt to bring genetics and evolution more into the public domain. If, for instance, you ever wondered just what genetic engineering is about, here is as good a place as any to discover. clarity, precision and ease.' 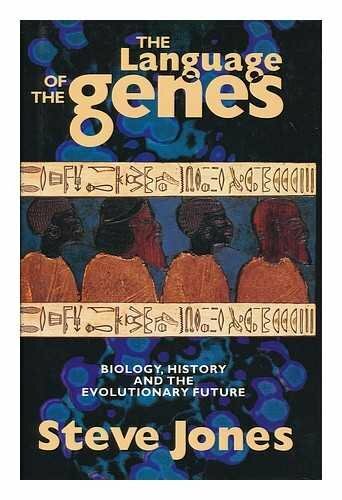 Laurence Hurst, Times Higher; 'Sensitive to the social issues raised by genetics... yet Jones's interest reaches beyond contemporary social issues to the human past, to what genetics can and cannot tell us about our evolution and patterns of social development. He interleaves a broad knowledge of biology with considerations of cultural, demographic and -- as his title indicates -- linguistic history. At once instructive and captivating.' Daniel J.Kevles, London Review of Books"